FLASH!! Gary Lucas has been invited by NYC's premier art house cinema The The Metrograph to present a year-long retrospective of his many live film scores accompanying classic films both silent and sound beginning Fri. Oct. 19th 2018 with his Spanish "Dracula" project. More info tba. Curated by Jacob Perlin and Robert Melvin Rubin. Next up in the series, Gary is performing his live solo score accompanying Tod Browning's 1925 silent thriller "The Unholy Three" starring Lon Chaney on Fri. Jan. 11th at 7pm, tickets here. GARY LUCAS has a long history of scoring and accompanying film live—both silent and sound. A pioneer of the genre who has performed his scores at film festivals and theatres all over the world, Gary began in 1989 with his original live score for the 1920 silent expressionist film "The Golem" which he premiered at the Museum of the Moving Image in Astoria. He continues composing new solo guitar soundtracks to this day, with live scores for many fantasy and horror films, including Carl Dreyer's 1932 "Vampyr"...James Whale's 1931 "Frankenstein"...the legendary 1931 Spanish "Dracula"...cult Brazilian director Jose Mojica Marins a/k/a Coffin Joe's 1966 horror masterpiece "This Night I Will Possess Your Corpse"...and for Luis Buñuel's 1962 surrealist classic "El Angel Exterminador". He recently premiered new live scores accompanying Orson Welles' re-discovered 1938 silent surrealist comedy "Too Much Johnson", as well as scores for the short experimental films of Hollywood maverick Curtis Harrington. A list of prestigious festivals and venues Lucas has performed at include la Cinematheque francaise in Paris, the Venice Biennale, Cineteca Nacional in Mexico City, the New York Film Festival, the Havana Film Festival with 3 live film score premieres, the Jecheon International Film and Music Festival in South Korea, the Jerusalem Film Festival, the LatinBeat Festival Lincoln Center, the Lodz Cinergia Festival, the Sevilla Film Festival, Queen Elizabeth Hall in London for the London Jazz Festival (4 stars), the Roxy Theatre in Prague, the Silent Movie Theatre in Hollywood, Fundación Botin in Santander, Dom Kino in St. Petersburg and Kinoteatr 35mm in Moscow, the Sydney and Melbourne Jewish Film Festivals, the Kustendorf Film Festival in Serbia, the Stadsschouwburg in Amsterdam, the Beursschouwburg in Brussels, the Transylvania International Film Festival in Cluj Romania, the AFI Silver Theatre, the James River Film Festival in Richmond, Petofi Hall in Budapest, and many others. Most recently Gary Lucas sold-out the Henri Langlois Theatre in La Cinematheque francaise in Paris with his live score accompanying Tod Browning's 1925 silent thriller "Le Club des Trois" (The Unholy Three) on Feb. 16th 2018. "Gary Lucas' affection for the fantastic cinema of the silent age is well known. His splendid performance for solo guitar on 'The Unholy Three' at the Cinematheque francaise reflects his deep empathy for the twisted characters and the disorderly, sniggering world summoned on the screen by Tod Browning. Intense and inspiring from the first image to the last, Gary's performance seemed to be seeking to give breath to those bodies from a long-dead past, and bring them back into motion and life." "The 11th Kustendorf Film & Music Festival held in the snowy mountains of western Serbia couldn't have gotten off to a better opening night start in January 2018 than with Gary Lucas on guitar captivating an enthusiastic audience of filmmakers from around the world along with locals who danced with joy and appreciation to Lucas' blend of everything from blues and jazz and beyond!" "Thank you for nailing it in the festival...great is all you've done in Kustendorf." "The startling fecundity of Gary Lucas' musical imagination would probably suffice to make him an able creator of film scores. But Gary has more than that. He has an impeccable understanding of, and sensitivity to, cinema itself. Not to mention deep knowledge and unflagging enthusiasm. To see and hear him play, to be in the room as he weaves his string magic while the variegated lights and shadows of whatever movie he’s accompanying dance on the screen, is an essential experience." Check out Gary performing his original live solo scores on the opening night of the 11th Kustendorf Film & Music Festival in Serbia. Listen to an NPR feature on Gary Lucas' live film scoring. Gary also performs a stand-alone solo concert of famous movie themes from the films of Fellini, Werner Herzog, Jacques Tati, Bela Tarr, Roman Polanski and other great directors entitled "Gary Lucas' CINEFANTASTIQUE". This can be booked as a separate concert event or in tandem with one of Gary's live film scores. 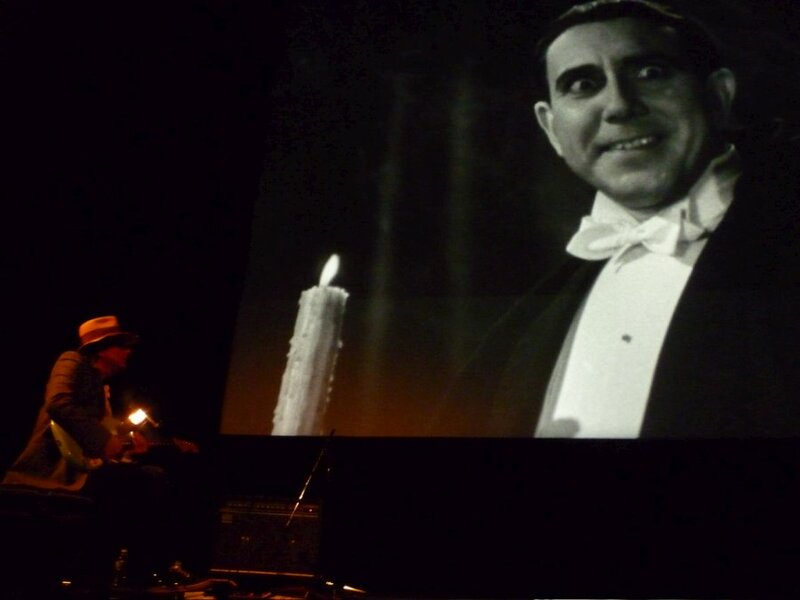 On Nov. 1st 2014, Gary Lucas performed the world premiere of his new live solo guitar score accompanying Danish director Carl Theodore Dreyer's 1932 masterpiece of the macabre "VAMPYR" at the American Film Institute Silver Theater in Silver Spring Maryland. 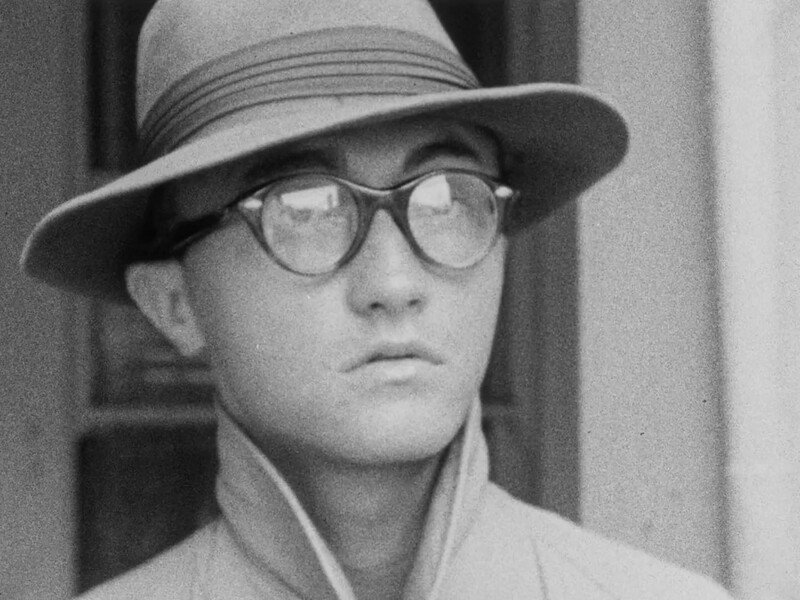 Gary Lucas Plays "The Goddess"
World premiere Jan. 2014 at Fundacion Botin in Santander Spain—part of the "Golden Age of Chinese Cinema" series curated by Film Society of Lincoln Center Director Emeritus Richard Pena. Gary Lucas Plays Spanish "Dracula"
Gary Lucas Plays Jose Mojica Marins (a/k/a Coffin Joe)'s "Esta Noite Encarnerei no teu Cadaver (This Night I Will Possess Your Corpse)"
Gary Lucas Plays Luis Bunuel's "El Angel Exterminador"
Gary Lucas Plays "The Golem"
Gary Lucas Plays "The Unholy Three"
Gary Lucas Plays "Sounds of the Surreal"
Gary Lucas Plays "Monsters from the Id"
On Oct. 31st 2014—and it being Halloween, what an appropriate Night for this—Gary Lucas performed at the United Palace Theatre in Harlem NYC (175th St. and Broadway) the world premiere of his new live solo guitar score accompanying the classic 1931 James Whale-directed "Frankenstein"
On Feb. 3rd 2018 at Roulette Intermedium in Brooklyn, Gary Lucas performed the world premiere of his live solo guitar score accompanying the short films of Curtis Harrington. 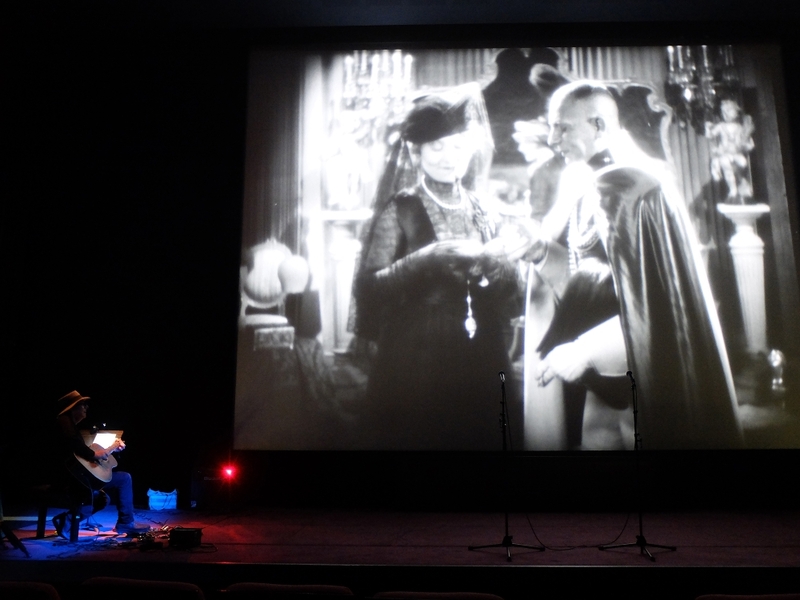 On March 1st 2019, Gary Lucas performed the world premiere of his new live solo score for Erich Von Stroheim's sardonic silent 1928 masterpiece "The Wedding March" at La Cinematheque francaise in Paris.